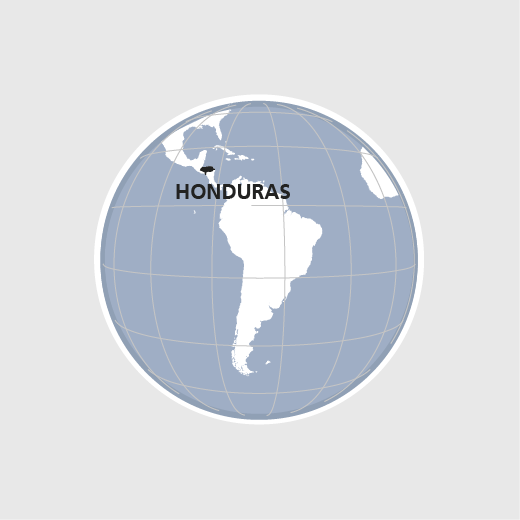 Honduras is one of the poorest countries in Latin America. Some 65 per cent of its people live in extreme poverty. Neglect of the rural population is the main cause of the continuing exodus of people to cities and to other countries. Yet many have not yet lost hope of a better future in Honduras. With great commitment and creativity they are striving in village communities for a better future. HEKS/EPER supports them in improving agricultural output, in safeguarding natural resources and in the defence human rights. Because Honduras is regularly hit by natural disasters, HEKS/EPER also promotes disaster resilience. In 2017 HEKS/EPER assisted some 11400 people in Honduras. 2500 people increased their harvests or their income.